Bangor’s housing problems have become ‘unacceptable.’ New report tells city to tackle them. Bangor officials should launch a comprehensive rental inspection program, take neglectful landlords to court and try to promote the development of more affordable housing. Those are just a few of the recommendations to improve the city’s housing market contained in a new report that will be presented to the Bangor City Council at 5:15 p.m. Monday. For the past few months, a working group has been meeting to consider solutions to the city’s housing problems. Those problems, spelled out in the report, include an aging rental stock, deteriorating housing conditions, rising rents for a population with relatively stagnant wages and a lack of accountability for landlords. The working group characterized its recommendations as “interim.” Going forward, officials plan to keep studying how they can be implemented and with what resources, Tanya Emery, the city’s community and economic development director, wrote in an email. The working group included city officials, landlords, homeowners, service providers, businesses and advocates for tenants. In the report, the group identified both short-term actions “to address the most egregious conditions in Bangor’s rental units” and longer-term changes the Bangor City Council and city administrators can make. One short-term recommendation is that the city launch a registry of rental properties and an inspection program that would provide information on the quality of each unit. That “invaluable tool” could be at least partly funded by fees from landlords, the group wrote. The only two cities in Maine that are larger than Bangor — Portland and Lewiston — already have similar programs. If the Queen City were to start those inspections, it could drive more landlords to fix code violations, according to the report. 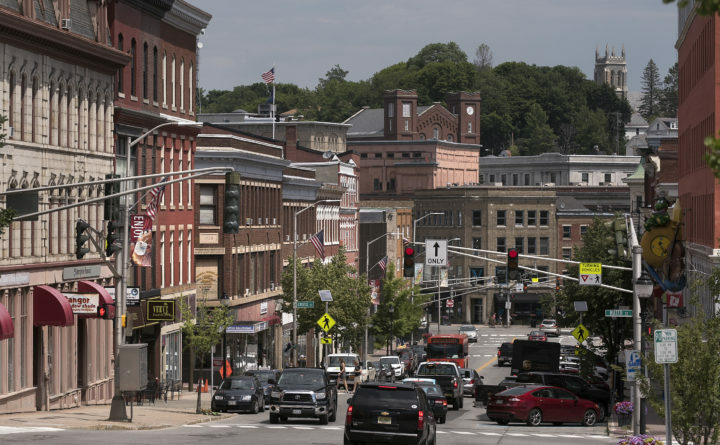 Last fall, an analysis by the Bangor Daily News hinted at the problems facing the city’s rental stock. The BDN found at least 800 code violations dating back to 1990 at properties owned by some of the people and companies that collect the largest amounts of General Assistance dollars from the city to house low-income tenants. The problems included leaky pipes, gas lines and roofs; collapsing ceilings; and sewage in basements. Some landlords collect tens of thousands of dollars in General Assistance each year for tenants’ rent. The city’s General Assistance administrator, Rindy Fogler, has heard troubling anecdotes from General Assistance recipients. One person told her about renting an attic that was only reachable by a drop-down ladder in someone else’s second-floor apartment. The working group also urged the city to take more legal action against landlords who violate codes, “starting with [the] worst case examples.” It said that a safety net would have to be established for tenants who must leave apartments that have been condemned under the stepped-up enforcement. The group organized its recommendations under five broad goals: improving the quality of housing, making housing more affordable, revising zoning and ordinances to achieve those ends, housing the city’s most vulnerable populations, and expanding the role of outside businesses and organizations. To make housing more affordable, the group included a variety of recommendations, such as providing incentives for the development of new and rehabbed housing, instituting new tenant protections, and identifying housing and rental properties available at different price levels. The group also recommended that the city quickly identify areas that could be rezoned to encourage the development of quality housing.